I've been inspired by this quilt since my mom sent me a link to the pattern several months ago. 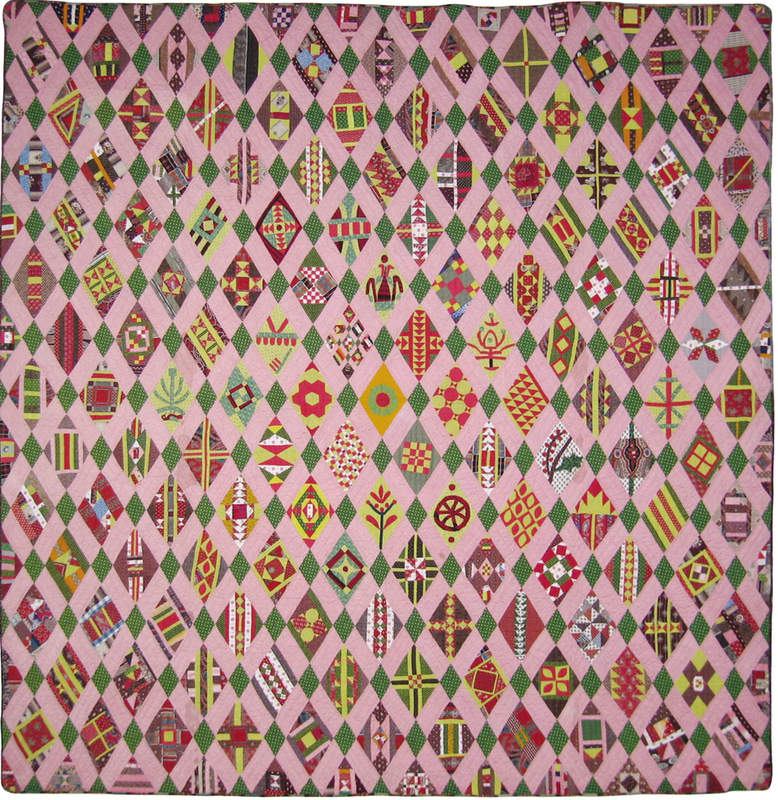 It's affectionately known as the Lancaster Diamond quilt dates from 1840 and was made in Lancaster, PA. Ann Holte has worked generously for two years to produce pattern drawings of each of the diamonds. I'm quite excited for some of the teensy tiny piecing that is ahead of me. While this quilt was likely created from orphaned blocks or scraps over a long period of time by the original quilter, I'd like to try my hand at all the different types of piecing/blocks and stay as faithful to the original as possible. Perhaps as I work something else will emerge for me in the process, this is my game plan for now! The jewel stack I posted last week is destined for this pattern, and I think the warm colors and texture additions of wool will be just lovely for this.